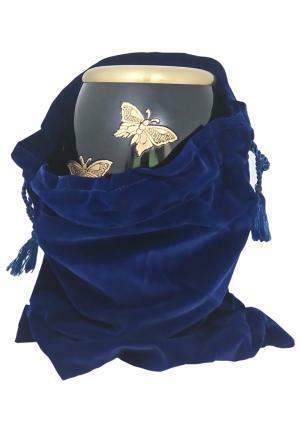 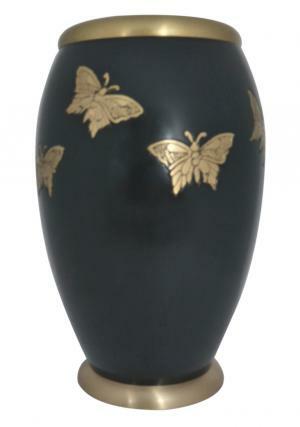 Fluttering Monarch Gold Butterflies Adult Funeral urn has a beautiful encryption of hand skill butterflies engraved with black enamel background in glossy finish and beautifully presented sculptured butterflies. 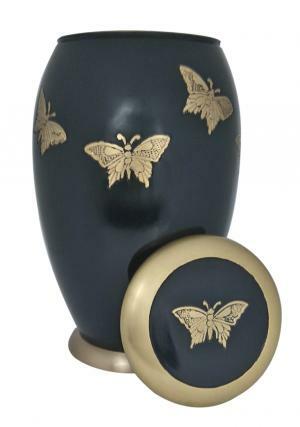 The Black Monarch Butterflies Adult Cremation Urn with flat lid top decorated and encrypted in centered butterfly that surrounds black enamel with soft edge brass finish. 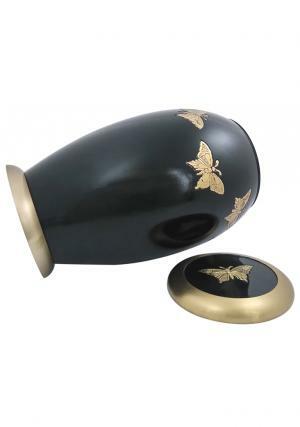 The threaded lid acts a closure and easy open source to the insertion of ashes. 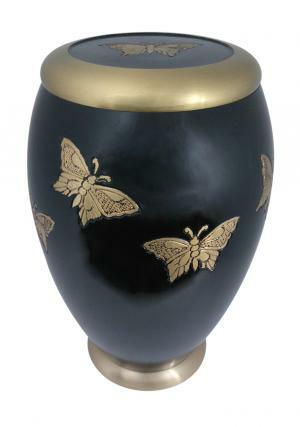 The Large Monarch Butterfly Adult Memorial urn has the measure dimension as 9.8 inch tall, 6.3 inch width and weighs about 2.27 kg which is capable of holding 200 cubic inch of adult ashes.